Built on the site of the Royal Mosque of the Alhambra. 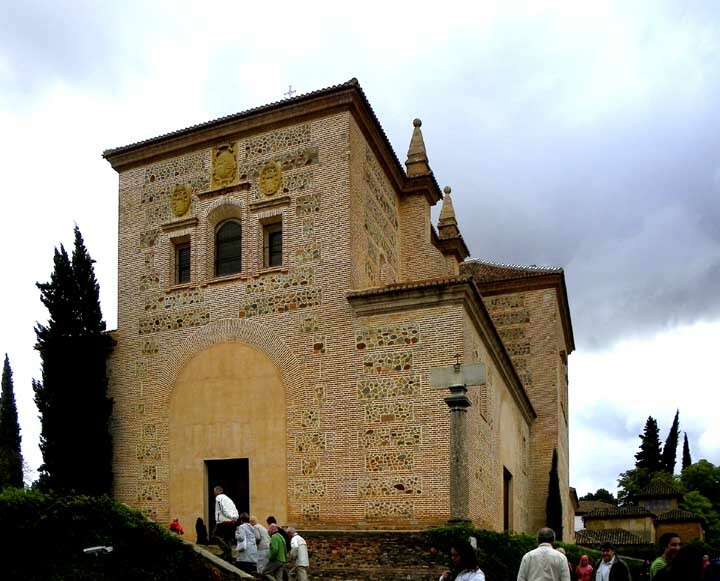 The Royal Mosque of the Alhambra was built in 1308 in the reign of Mohammed III, but after the Christians came to Granada in Andalusia, Spain, the Iglesia del Santa Maria de la Alhambra was built. 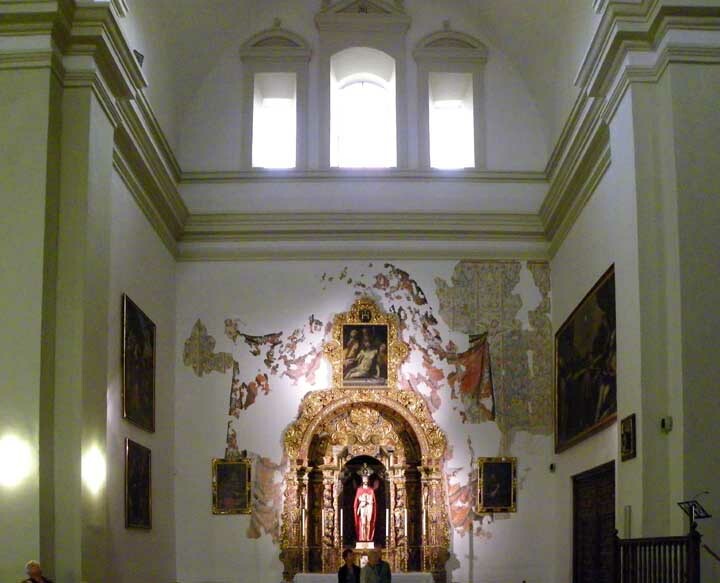 Started in 1581, from the plans of the Spanish architects Juan de Herrera and Ambrosio Vico. 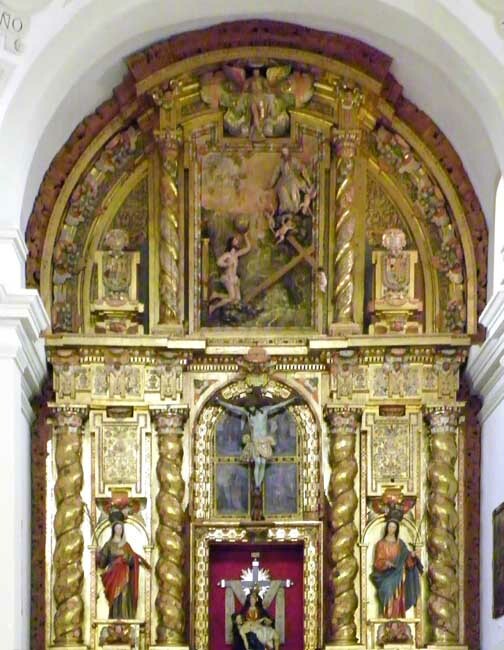 The Church of Saint Mary of Alhambra was not completed until 1618, 25 years after the death of de Herrera. 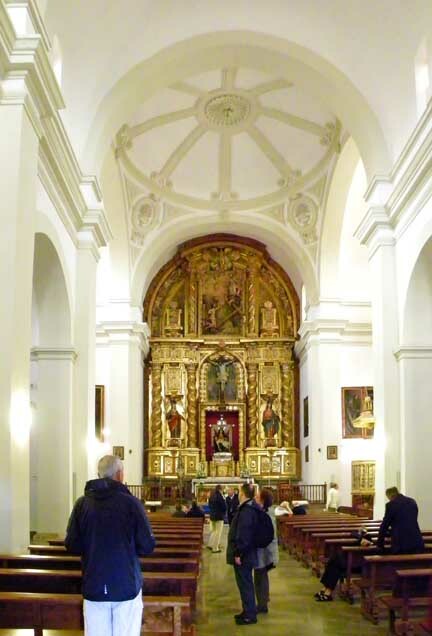 Designed in the Latin Cross style, the church has six chapels leading from the single nave. The simple Renaissance style of de Herrera is clear on the extrior. 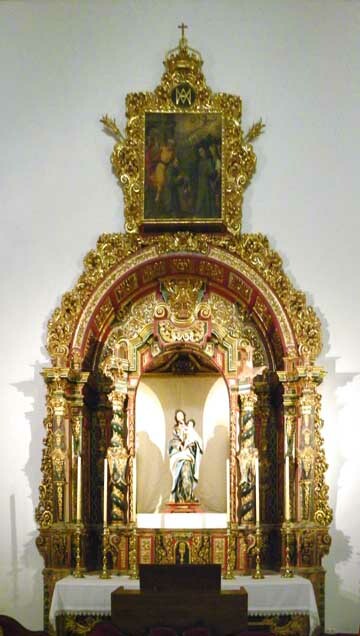 The high altar features a Baroque retable and statues of saints Ursula dnd Susana and a crucifixion, all by Alonso de Mena.